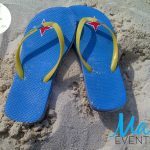 When you come to One Happy Island there are so many things to do, it can be hard to know where to start! 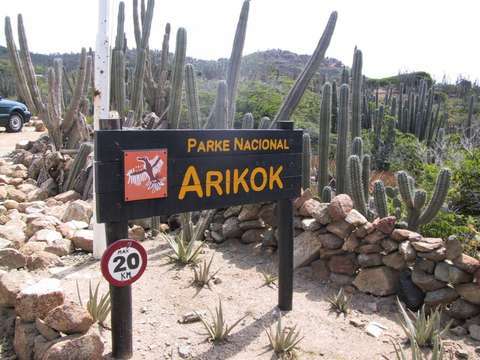 But we hope you’ll spend at least a day or two exploring the many amazing sights you can find in the island’s beloved Arikok National Park. Your days will be full of many adventures and fun in the sun as you navigate rocky desert landscapes, which means you’ll need a good night’s sleep to be ready for the next day’s activities. 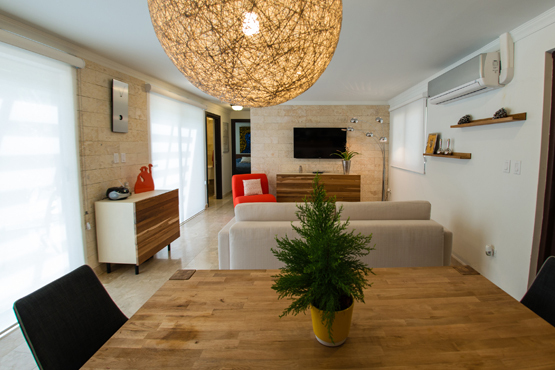 The perfect place to stay is a deluxe condominium rental at Palm Aruba Condos! The eastern coast of Aruba is much wilder than the calmer west side of the island. 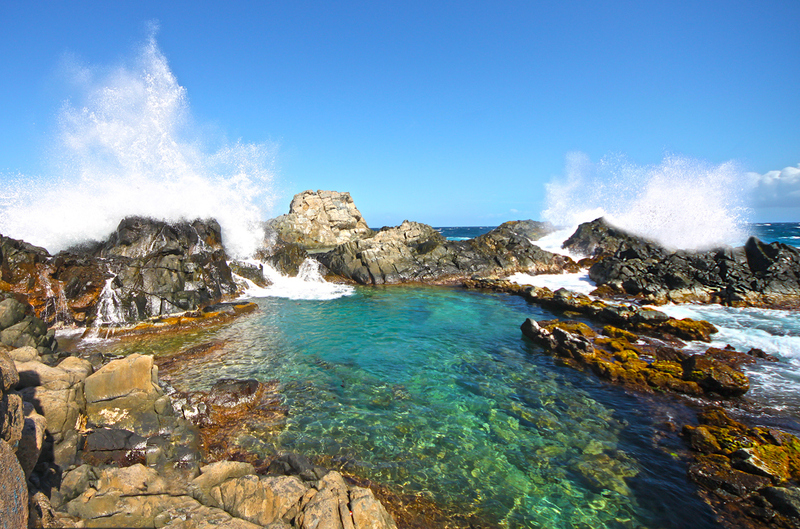 The rough surf and crashing waves make swimming far too dangerous except for one spot – the Natural Pool or “Conchi” as the locals call it. Thanks to the work of Mother Nature, a ring of volcanic rocks has formed the perfect place to take a refreshing swim, offering protection from the powerful ocean waves on the other side. Getting to the pool requires a short hike on foot because the site is inaccessible any other way, but the reward is well worth the mild effort it takes to get there! This is natural Aruba at its very best. There are several fascinating caves to explore in Arikok National Park. Guadirikiri Cave (also referred to as Quadiriki or Quadirikiri Cave) is known for its two chambers with holes in the ceiling that allow the sun’s rays to shine down into the cave for dramatic natural lighting effects. 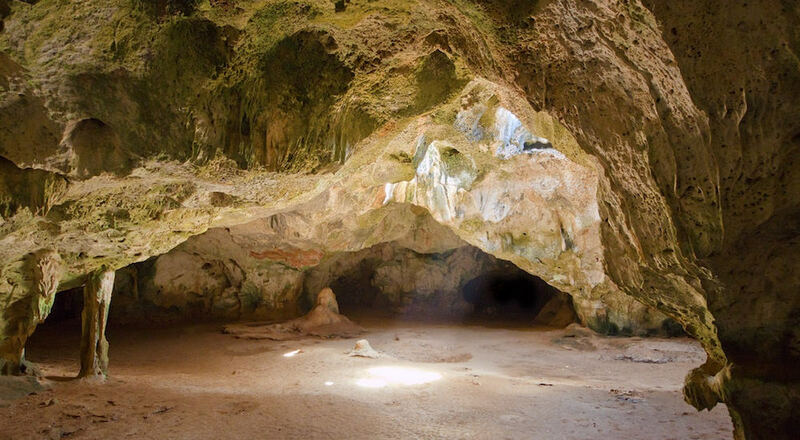 Fontein Cave, located near Boca Prins, is famous for its cave drawings made by Arawak native peoples in ages past along with its colorful stalagmites and stalactites in a variety of striking shapes and sizes. Huliba Cave is another popular spot, also called the “Tunnel of Love” for its heart-shaped entrance. Make sure you have a flashlight to explore the full depths of this 300-foot long cave! All three caves are home to various species of bats that nest inside them, but don’t worry, the bats are completely harmless and only come out at night to look for food. Keep an eye out for all kinds of birds and animals as you travel around the park with its desert landscapes full of cactuses and occasional scrubby trees. 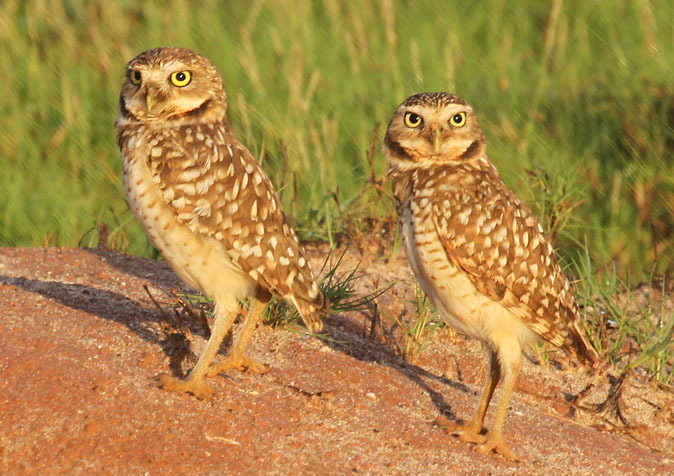 You might catch a glimpse of wild goats, wild donkeys and iguana lizards, but there are also several species that are unique to One Happy Island, including the Shoco or burrowing owl, the Kododo Blauw or Aruban whiptail lizard, and the Prikishi or Aruban Parakeet. 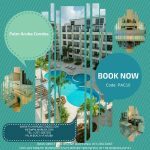 Located just minutes from the Palm Beach high-rise resort area of the island, Palm Aruba Condos has deluxe one-bedroom, two-bedroom, three-bedroom and two-bedroom loft units that give you maximum freedom and flexibility. You’ll have all the room you need to really spread out and relax, bathrooms attached to each and every bedroom, and fully-equipped kitchens so you can eat in whenever you want. You’ll also appreciate all the amenities we offer to enhance your stay, including a truly amazing pool, outdoor BBQ and lounge area, outdoor tennis court, outdoor basketball court, children’s playground, indoor fitness center, secure on-site parking, and free WiFi throughout. And it’s always worth visiting our Deals Page to find out what specials we’re offering! We look forward to seeing YOU on One Happy Island at Palm Aruba Condos!